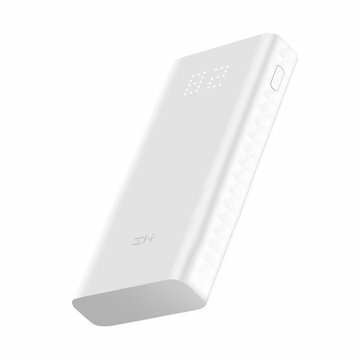 High quality lithium polymer power bank could charge your phone, pad and other intelligence devices whenever you are in business trip or travel. Seeing the power shows 100%, it seems to see a sense of security. Safely charge lower power devices such a s bluetooth headsets or finess bands. Simply double press the power button to enter 2-hour low power charging. Design for dual USB output could better and quicker charge your devices when you own different kinds of digital devices. Micro USB+ USB-C dual input design means the two most common interface types exist at the same time. Even if you forget to take the original charging cable out, you can easily find Micro USB or USB-C cables to charge your portable charger without worry for forgetting cables.